Take a stroll down the tree-lined boulevard Collins St/Swanston St, home to some of Australia's best examples of Victorian architecture. As you walk, note the large Collins Street Baptist, St Michael's Uniting, and Scot's Presbyterian churches, and the magnificent Town Hall. 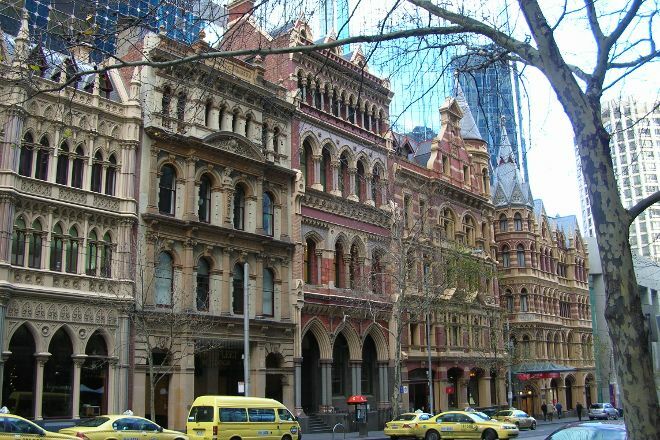 Enter the "Cathedrals of Commerce"--including William Pitt's Venetian gothic-style Old Stock Exchange and William Wardell's Gothic Bank--to see some of Melbourne's finest interiors. Head to the "Paris End" for shopping to rival the European capital of culture from which it takes its name. The street is 1.6 km (1 mi) long. 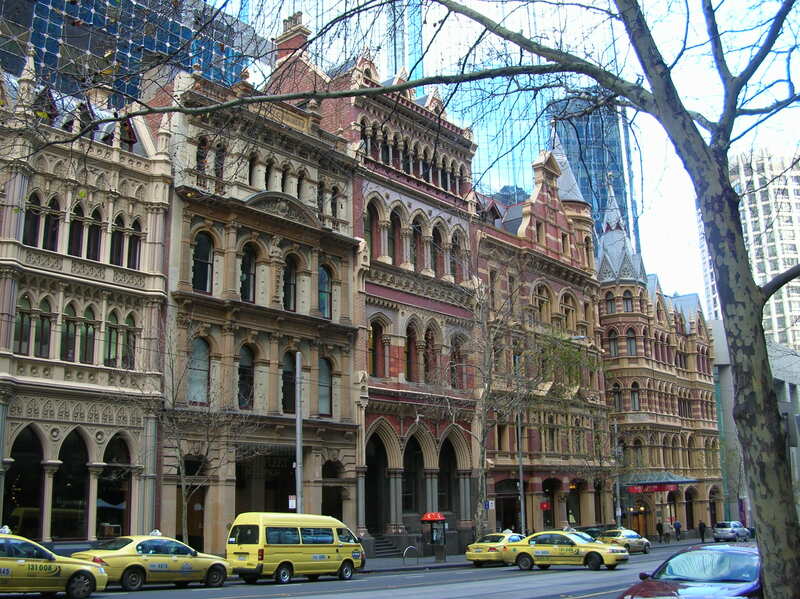 Make Collins St/Swanston St part of your personalized Melbourne itinerary using our Melbourne online driving holiday planner . Located in the heart of the city, Collins Street is close to Town hall, where you can visit a number of well-known tourist spots and many of the very interesting alleys that extend to visitors to see the most life-oriented real life of Mexico. Every day, we help thousands of travelers plan great vacations. Here are some tips on how to use your Listing Page to attract more travelers to your business - Collins St/Swanston St.
Promote your permanent link - https://www.inspirock.com/australia/melbourne/collins-st-swanston-st-a39818897 - on your website, your blog, and social media. When a traveler builds a plan from this page, the itinerary automatically includes Collins St/Swanston St. This is a great way for travelers looking for a great vacation in your city or country to also experience Collins St/Swanston St. Promoting your link also lets your audience know that you are featured on a rapidly growing travel site. In addition, the more this page is used, the more we will promote Collins St/Swanston St to other Inspirock users. For best results, use the customized Trip Planning Widget for Collins St/Swanston St on your website. It has all the advantages mentioned above, plus users to your site can conveniently access it directly on your site. Visitors to your site will appreciate you offering them help with planning their vacation. Setting this up takes just a few minutes - Click here for instructions.